Poised between reality and fantasy, Sergio Ponchione’s Memorabilia is a incredibly original ode to the great comic book artists of his youth. 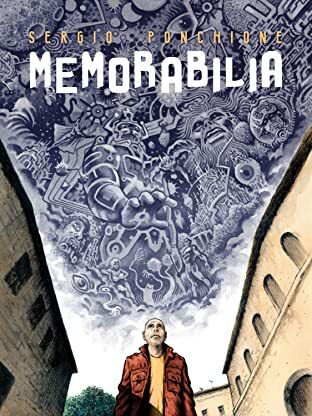 In comics form, Ponchione weaves history, speculative fiction, and pure fantasy to create five individual stories that illuminate the art and lives of five of the all time great comic book artists: Steve Ditko, Jack Kirby, Wally Wood, Will Eisner, and Richard Corben. 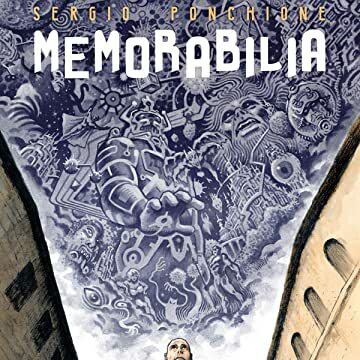 Ponchione blends the biographies of each artist with the fantastic characters and worlds built by each to create a visually stunning love letter blending fact and fiction in a fitting testatment to the remarkable imaginations of these five master comics-makers.